An immensely big city where the vibes of a village still can be felt. This kind of grey looking city seems to be the cultural centre of China. 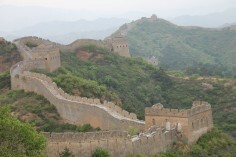 Places to visit: Summer Palace, Tiananmen square and the Forbidden City. 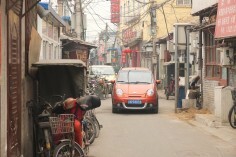 Don’t forget to wander around the ancient neighbourhoods, called Hutongs. 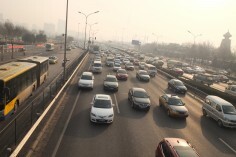 In this article you read everything about Beijing. 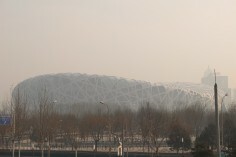 What to see in Beijing? Summer Palace: nowadays a huge public park with an imperial past. 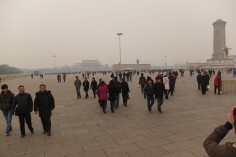 Tiananmen square (天安門廣場): Enormous square with in the middle the Mausoleum of Mao Zedong. 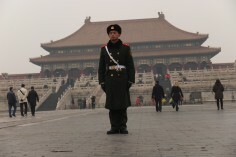 Forbidden City: Served as a home for several emperors in the history of China. 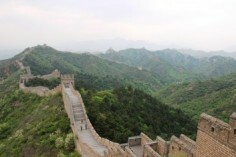 Was also the political centre of the Chinese government for almost 500 years. 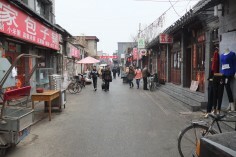 Hutongs: Classical Chinese neighbourhoods, typically for Nothern Chinese city, especially for Beijing. The Tiananmen square, the Forbidden City and the Hutongs are all very close to each other and can be visited by just walking. The metro system of Beijing is very good and reliable, for just 20 RMB you can get around Beijing by metro, tickets can be bought at every metro station. The Summer Palace is a bit too far to walk, so we would recommend to take the metro / subway to the Yuanmingyuan station and take Exit B. Exit B will lead you to the South Gate of the Summer Palace garden, bus 331 can take you from the South gate to the East gate of the Summer Palace. What can you do after Beijing? We would like to give you some advice. Shanghai: Take the nighttrain to this stunning city. Shanghai is totally different than Beijing. Top 10: Or choose from our top 10 destinations.